Posted on February 14, 2015 by Eric Zuesse. Newsweek magazine headlined on February 5th, “‘Biggest NATO Reinforcement Since Cold War’ Sets Frontlines Against Russia,” and reported that, “According to general Charles Wald, former-deputy commander of U.S. European Command, … ‘The question for Europe is: is Putin creeping further and further west?’” Wald is quoted as saying that the case of Ukraine especially worries him. This article continues: “‘Is this a precursor to Russia moving into Moldova? Nagorno Karabakh has been bubbling up, and the Georgia issue is still unresolved. NATO has essentially set these [new military] bases in its frontline states,’ Wald says, referring to the countries’ proximity to Russian territory.” So: Russia is moving too close to NATO countries, according to the U.S. ‘Defense’ Department. But it’s a blatant lie. Actually, since 1999, 11 former members of the Warsaw Pact, countries, which had been allied with Russia during the communist Soviet Union throughout the Cold War, have switched to the U.S. military alliance against their former ally Russia, NATO: Czech Republic, Hungary, Poland, Bulgaria, Estonia, Latvia, Lithuania, Romania, Slovakia, Slovenia, and Albania. So: Russia hasn’t been moving at all, not an inch; but the U.S. certainly has — by surrounding Russia with its NATO missiles. This Newsweek story is ‘news’ that’s published in a mainstream U.S. ‘news’ source, which people pay bad money for — it’s worse than a waste, it’s their being charged for U.S.-Government propaganda. “NATO is moving closer to Russia and blaming Russia for being close to NATO.” A video is shown there. Hagel’s press spokesperson insists there that it happens because Russia has been seizing nations and thus moving closer to NATO; he refuses to acknowledge that NATO has instead been expanding up to Russia’s very border, bringing U.S. weapons surrounding Russia’s periphery. How would the U.S. react if, say, Russia had tried to install nuclear missiles in, say, Cuba — like the Soviet Union tried in 1962? There are lots of reader-comments to that video, many of which are from fools who are treating Russia as being evil and dangerous, and ignoring the insult to their own intelligence that came forth from Chuck Hagel’s spokesperson in this video, which they had just watched. However, Fort Russ reports this videoed statement without comment, as being instead a self-evident lie from the U.S. Government, and it is that; not as being (like Newsweek does) a supposed truth from the U.S. Government, a supposed truth that’s being unchallenged by Newsweek’s ‘journalist,’ though if Newsweek had been an authentic news-source it would have reported that the U.S. Government was simply lying there — since that’s the actual fact, and it’s blatantly true. Everybody needs to stop calling Ukraine’s enemies as Russian[backed rebels. Let’s call a spade a spade. Let’s call them Russians! They came from and were sent by Russia. But they LIVE in what’s called ‘eastern Ukraine’ and have been there in some cases for centuries. That is Kyiv”s main point. And theirs. Some have received military training in the Soviet forces, as well as the UA. Some of the younger have been trained in ‘militia camps’ – safe in Russia. Sergy K, Where did you take those percentage from? Maybe from The History Of Russian State by N.M.Karamzin or Primary Chronicle Where Did Russian Land Come From or The History Of Kiev Rus? Look these books through in the Harvard Kennedy School Library or at least use Google “Russian-speaking population in Ukraine”. My hope is NATO destroys Russia once and for all. So: apparently, an ‘expert’ at Harvard’s Kennedy School, and even one whose sole published work deals with Ukraine, does, indeed, actually think that 85% of the fighters against the Kiev-based Ukrainian Government’s invasion of Ukraine’s Donbass region are Russian soldiers, not residents. We’re supposed to be this stupid, and this misinformed, by a propaganda-line that doesn’t even make sense — the line that says the people who are bombing the residents in Donbass and destroying the region, are the invading Russian army, and/or the residents who live there (the “Terrorists,” as the Ukrainian Government calls them), instead of being the Government forces that are trying to exterminate the residents there, and who are actually terrorizing those residents in order to get them to die or else to leave Ukraine. No wonder why the U.S. Government keeps lying, and its propaganda-organs (virtually the entire U.S. press) are lying. The press are controlled by the same aristocracy that control the Government. But, in order to do this, they are playing the American people for suckers. Maybe enough of the American public are, but that’s no justification for what America’s aristocracy are doing. The people who are being slaughtered aren’t Americans at all, but are instead the entirely innocent residents in the Donbass region of the former Ukraine. 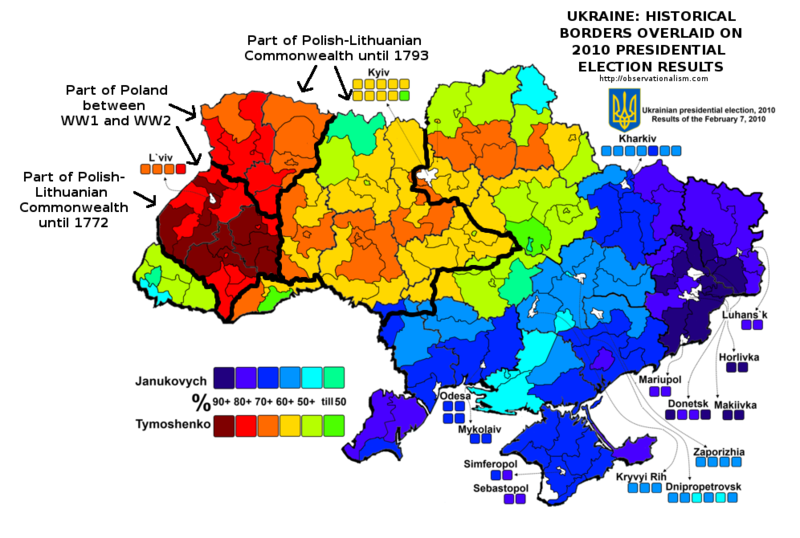 Prior to Obama’s February 2014 Ukrainian coup, that entire country was a democracy, and there was no ethnic cleansing there. But Obama has the nerve now to accuse Russia of “aggression,” when in fact it is he that is the aggressor. And that’s the sole basis for the economic sanctions that Russians now suffer. What a massive crime: a war-crime that would be worthy of being tried as such at Nuremberg — but, this time, not by Americans. Obama is instead the anti-FDR President. An American President like this would make Franklin Delano Roosevelt turn over in his grave. This entry was posted in Business / Economics, General, Politics / World News and tagged conservatism, corruption, Deep State, Democrats, fascism, neofeudalism, New Nobility, nuclear war, Obama, propaganda, Putin, Republicans, Russia, Ukraine, Wall Street, War. Bookmark the permalink.